TMD (temporomandibular joint dysfunction or disorder) is a term used for a number of symptoms that are associated with the joint joining the jaw bone with the bone of the skull. People with TMJ pain have reported their symptoms actually get worse when the temperature drops. 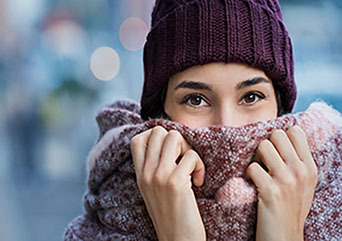 The winter weather is tough on your joints and just like the hands and leg muscles react to the colder temperatures by shivering and tensing, so do the jaw muscles. The decrease in temperature puts extra stress on the jaw muscles which could lead to an increase in TMJ pain and symptoms. How might the winter affect my symptoms? Headaches – cold weather intensifies headaches as the atmospheric pressure and temperature changes. If you experience sinus headaches, TMD sufferers may experience intense pain and ear pressure. Jaw and face pain – shivering due to cold weather can cause the muscles to contract and spasm which can increase jaw pain. Back, neck and shoulder pain – as the body tenses and tries to stay warm, this causes increased pain in the back, neck and shoulders. Fatigue – as your body is trying to keep its body temperature high to keep warm, the body is using more energy which leads to an increase in feeling tired. How to avoid increased TMJ pain in the winter? In the warmer weather the joints are naturally loose, whereas when the weather temperature drops, the muscles tend to tighten, tremble and contract to try and keep the body warm. This causes extra TMJ discomfort, which is why it is so important to know how to look after yourself and your body to avoid increasing TMJ pain. During the winter months, it is important to retain as much body heat as you can to reduce clenching or tensing the muscles. To help this, remember to wrap up as much as possible, scarfs and hats keep the jaw area insulated and help to protect it from the wind and cold air. As the days get colder, it is harder to remain active, but keeping up a regular physically active regime not only helps with overall health but can also help with jaw pain. Remaining active loosens up the muscles and joints meaning it can be easier for them to handle the change in temperatures. Even when you are safe from the cold being inside, it is important to make sure you are warm enough to stop any clenching or shivering which you may experience when outside. Increasing the heating or electric blankets are good suggestions for staying warm indoors to give your joints a relief. In the cold weather, foods such as warm creamy soups are a favourite, which also reduces the stress on your jaw as there are less chewing motions. If you find that your TMJ pain noticeably worsens in cold weather, the best way to feel more at ease is to talk to the TMJ team who can give you more advice of how to avoid increased TMJ symptoms and give you the best treatment based on your condition. 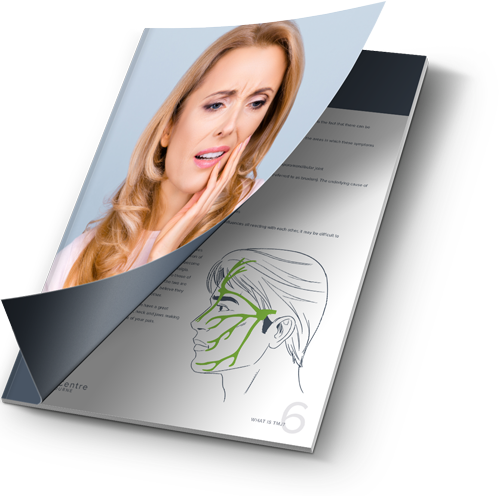 Complete our questionnaire to see whether you could be a candidate for TMJ treatment!